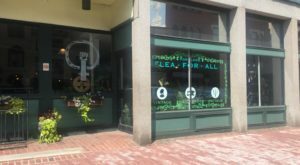 Those who visit Maine love exploring the many small town shops and local restaurants that make this state great. But, if you really want to get to the heart of Maine shopping, you’re going to want to get into some antiquing. From the tiny garage in that small rural town run by a local to the much larger, multi-story spots that people flock to on the weekends – there are a TON of places to pick up some historic stuff. 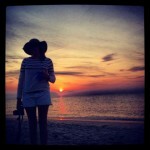 But our favorite place for vintage finds is this southern Maine town known for its antique shops. 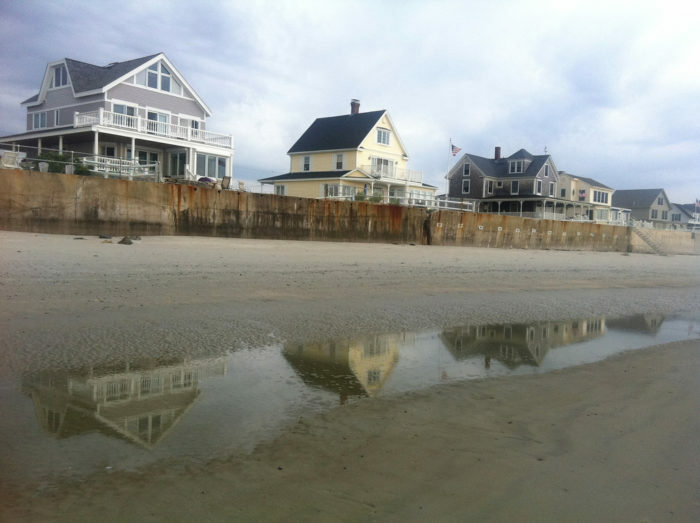 Wells might be one of the best summer tourist towns in the state, but we actually love it for more reasons than just the beaches. 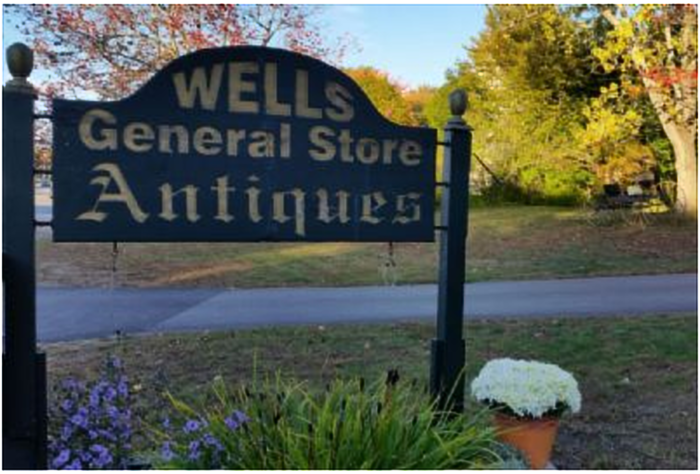 If you find it hard to believe that there could be more to do in a town like Wells, check out just a few of the awesome antique shops you'll find here. 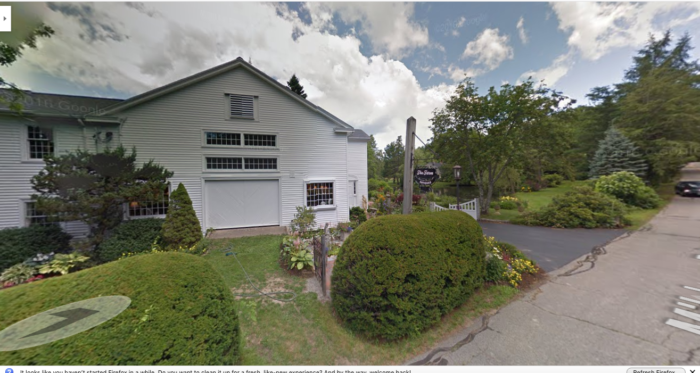 Start with The Farm Antiques at 294 Mildram Road in Wells / 207-985-2656. Offering some of the best antiques in the state since 1967, this shop is dedicated to English period furniture and accessories from the 17th, 18th and 19th centuries. There are huge showrooms that actually illustrate the way a period room may have looked, allowing you to see how the furniture might work in your home.They even have an on-premise workshop to make sure everything is in perfect condition! Next it's on to Carboni Antiques at 1755 Post Rd. / 207-646-4551. 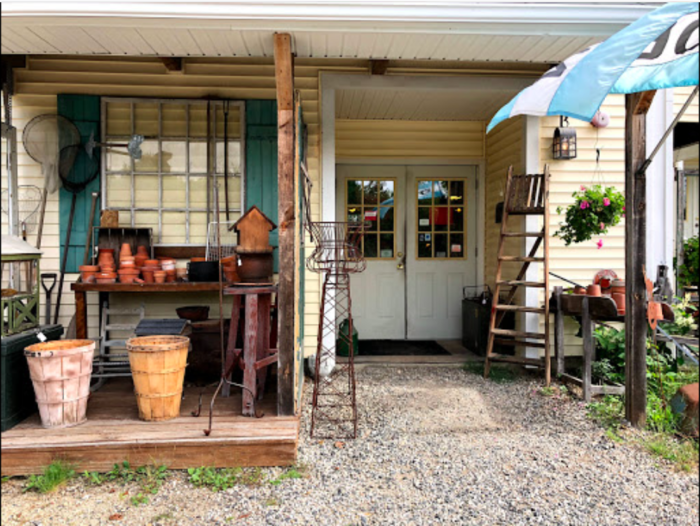 Part of the Wells Union Antique Company, this wonderful shop features beautiful pieces that take your home to a whole new level. 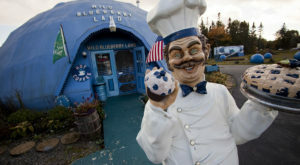 Even if you're not in the mood to buy, this is a great place to visit to simply took around. 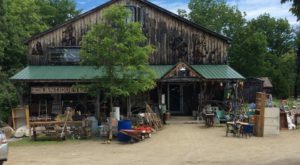 And you can't forget Cattail Farm Antiques at 1784 Post Rd. / 207-646-1499. We might actually love the place this store is housed more than the stuff inside. 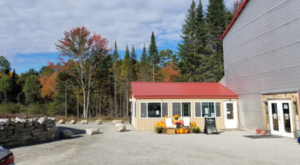 It's an old, restored apple barn with 3 floors, making up almost 10,000 square feet of space for incredible goods. You'll find 30 dealers here, all ready to make friends! 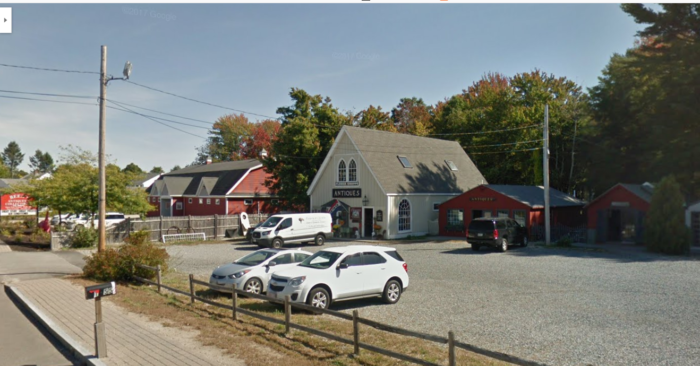 Then it's Wells General Store Antiques at 2023 Post Rd. / 207-646-5553. Part of the official Maine Antiques Trail, this shop exists in a 200 year old bar. 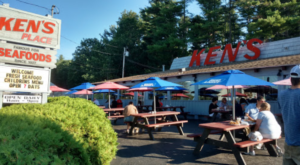 It's got two floors of packed with furniture, automobile artifacts (like gas pumps, signs, oil bottles and cans) as well as fun 1950s furniture, soda coolers, and candy machines. Something a bit different is up next with Manko at 19 Seabreeze Dr. / 207-646-2595. 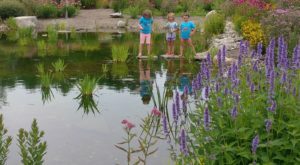 One of the most unique options on this list, Manko is owned by a family that's been involved in the world of American folk art & antiques for more than 40 years. Kate Manko joined her parents in the business in 2004 and together they've provided us with a way to understand and experience important part of American culture. 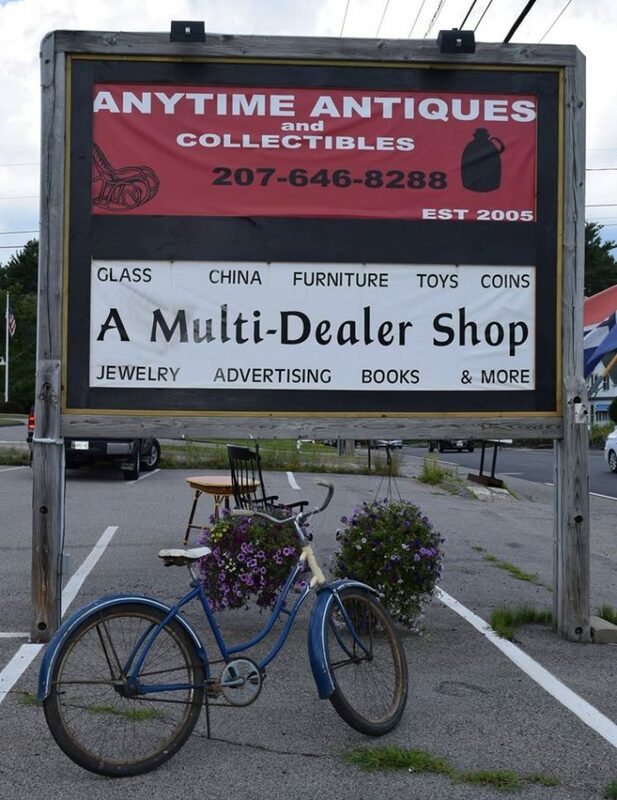 Next we recommend Anytime Antiques at 762 Post Road, Route 1 / 207-646-8288. If you're not entirely sure what you want, Anytime is the place for you. There's something for everyone here - even those that just want to browse around and look at cool stuff! From antiques and furniture to home decor and toys with a few pieces of awesome jewelry and glassware thrown in! 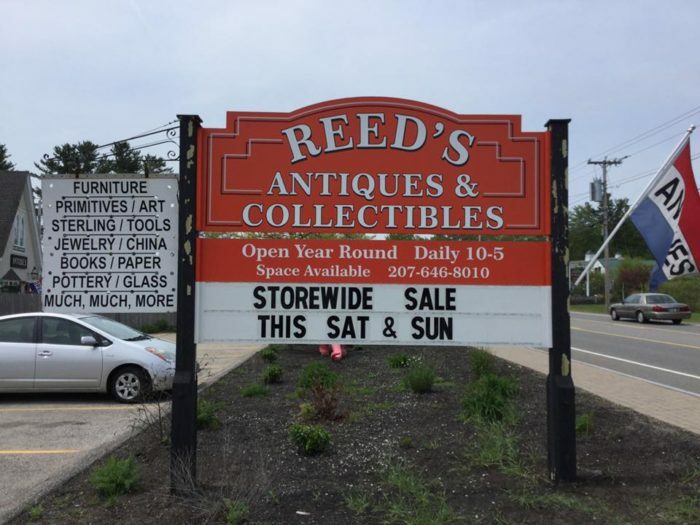 Reeds Antiques & Collectibles is up next - they're located at 1773 Post Rd. / 207-646-8010. 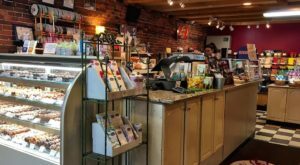 You'll find a wide array of items here at Reed's. They've got things appealing to those interested in the fancier things in life, as well as every day thrifts. Visitors talk about how nice the staff is and it seems there are tons of different dealers here as well. And, there are so many more spots to explore beyond these. 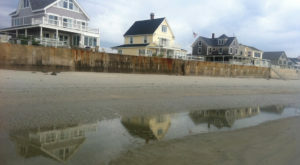 Check out the Maine Antique Trail website to learn more and plan a full day’s excursion to Wells. For more vintage finds check out these 9 shops located throughout the state. They’re awesome! And for the more dedicated antiquers, here’s an entire roadtrip for you!